Spend two days in Egypt and enjoy special excursion to Cairo and Luxor. Visit Great Giza Pyramids and Sphinx and Sakkara Pyramid in Cairo. 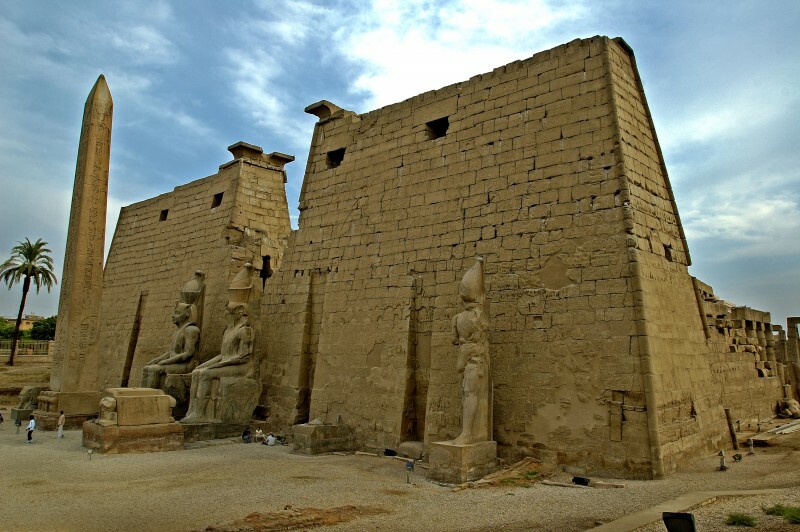 Then transfer to Luxor to witness the ancient Civilization among the columns of Temples in Luxor. Egypt Travel representative will pick you up from your hotel in Sharm El Sheikh by a private air-conditioned modern vehicle for flight to Cairo. After that our Egyptologist guide will accompany you to discover the exquisite Pyramids of Cheops, Chephren and Mykerinus, the Sphinx with a head of a pharaoh and lion's body, which dates back to the reign of King Chephren, and the Valley Temple of the Pyramid of Chephren. Proceed to have your lunch at local restaurant in Cairo. Then we will move on to the Egyptian Museum which features artifacts from the Pharaonic period. The museum displays a rare collection of 5000 years of art which is considered the largest most precious collection of Egyptian art in the world. Over 250,000 genuine artifacts are presented, including an exhibit dedicated to Tutankhamen collection of treasure, gold and jewelry which was enclosed in his tomb for over 3,500 years before it was discovered in the 1920s when his tomb was excavated. Shopping at Khan El Khalili Bazaar, the most famous bazaar in the Middle East. In the evening you will be driven to Cairo Airport for flight to Luxor where you will be met & transferred to your hotel in Luxor. Breakfast at your hotel in Luxor and then you will be accompanied by your English speaking tour guide and private air-conditioned deluxe vehicle to visit the famous Karnak temple the largest place of worship ever built. Lunch in route in local restaurant and then you will be moved to the West Bank ofthe River Nile to visit the two colossal statues of Amenhotep III (Colossi of Memnon), and then visit the Valley of the Kings, where the magnificent tombs discovered, you will visit 3 tombs excluding Tutankhamen. Continue the tour to visit the Hatshepsut temple at El Deir El Bahary, this impressive temple dedicated to the Queen Hatshipsut the only female pharaoh who ruled Egypt. Optional felucca sail to the Banana Island in Luxor to watch the amazing sunset on the Nile like no other any where. Later on, you will be transferred to Luxor domestic airport to fly back to Sharm El Sheikh where you will be met by a company representative and transferred by private air conditioned vehicle class to your hotel in Sharm El Sheikh. Shopping tours through out Cairo & Luxor.